Anyone with any information can contact the Cleveland Division of FBI, Lakewood Police or CrimeStoppers. Officials are in search of a man accused of robbing not one, but two banks in a span of four days. According to the Cleveland Division of the FBI, a man entered the Fifth Third Bank located at 4800 Madison Avenue around 1:42 p.m. The suspect approached the teller and verbally demanded money. The suspect was seen leaving the bank, walking North towards West 150th Street. 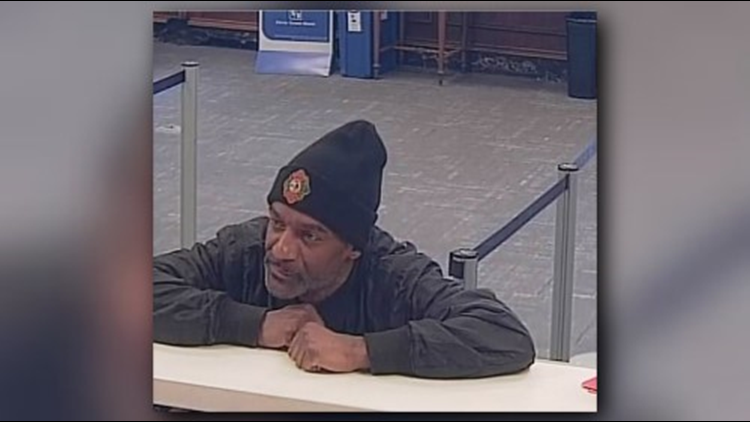 He is described as a black man in his 50's, standing 5'10''- 5'11'' tall with a slim build and graying beard. He was last seen wearing a hat with a logo and dark clothing. Police believe the same man is responsible for robbing a Key Bank in Cleveland, Friday. A reward is available for information leading to the successful identification an prosecution of the suspect.